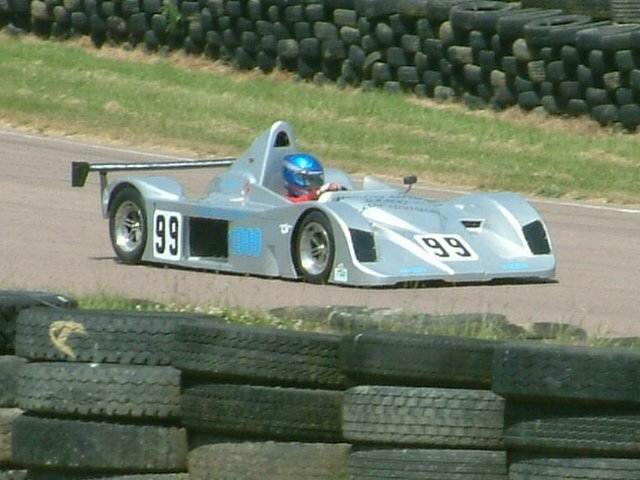 The ADR1000 �Sports 1000 spec.� was originally designed for use in the UK 750 Motor Club Sports 1000 spec. Class. 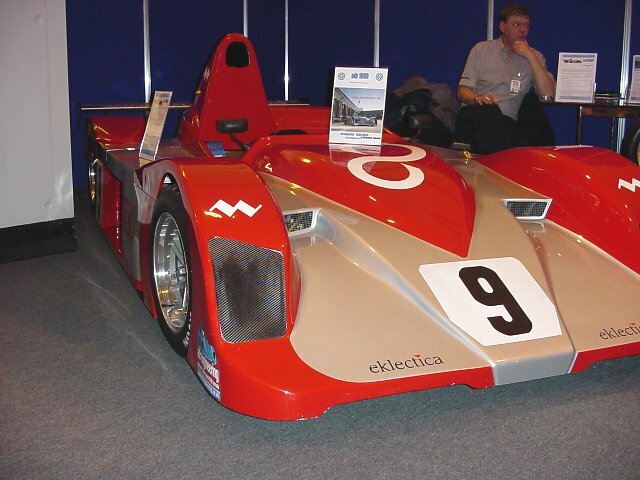 ADR Engineering debuted the car in January 2003 at the Autosport show in England. The car was an immediate success on the track and was the car to beat in the series. 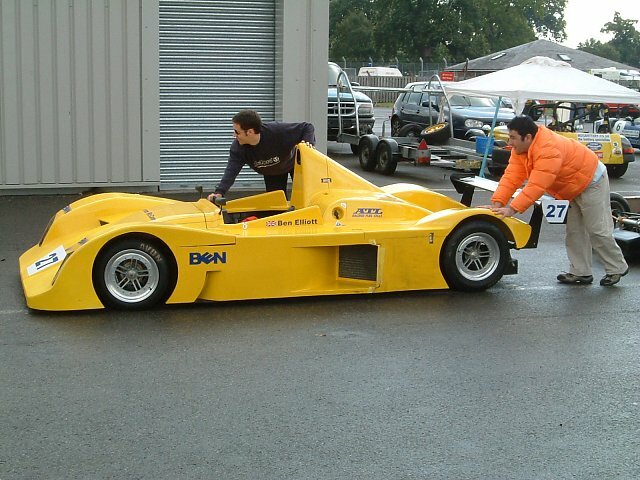 The car had to run a Solid Rear Axle suspension and a 1000cc 8 valve maximum engine. 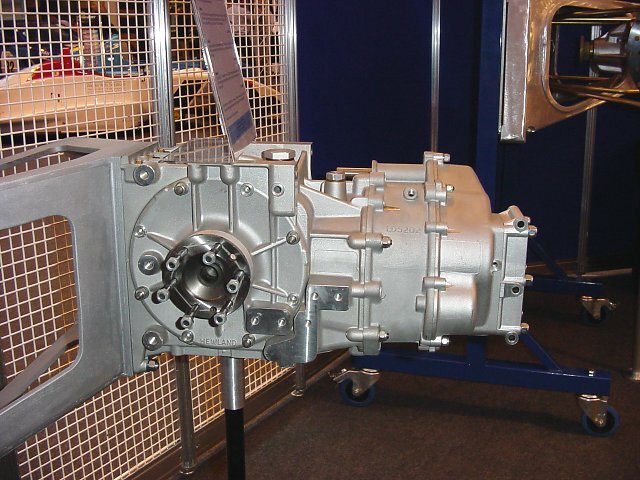 ADR Engineering chose the BMW K series engine due to its Flat Four design, which offers a low center of gravity. The car was much more advanced than the cars that normally compete in the 750 Motor Club, featuring a TIG welded Chassis, 6 Point Safety Harness, Push Rod front suspension, full Rose Jointed suspension, LM 25 Cast Aluminum heat treated front uprights, 4 Pot front - 2 Pot rear Wilwood Billet Aluminum Brake Calipers, Cross Drilled Front Rotors, Titan Aluminum Steering Rack & Pinion, 3 piece ADR Aluminum Center Lock Wheels, GRP 5 piece body with front and side impact structures, GRP Rear Wing, rear Venturi/Undertray, and Digital Display Dash. 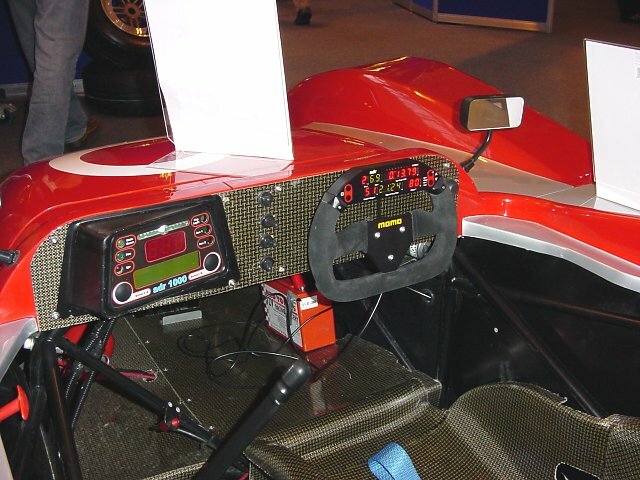 The car has evolved to accept other engines and can be fitted with ADR�s Independent Rear Suspension (IRS) or a Hewland LD 200 Transaxle. The car will be eligible for DSR, track days, Solo, etc. Body construction: GRP / Carbon Kevlar. 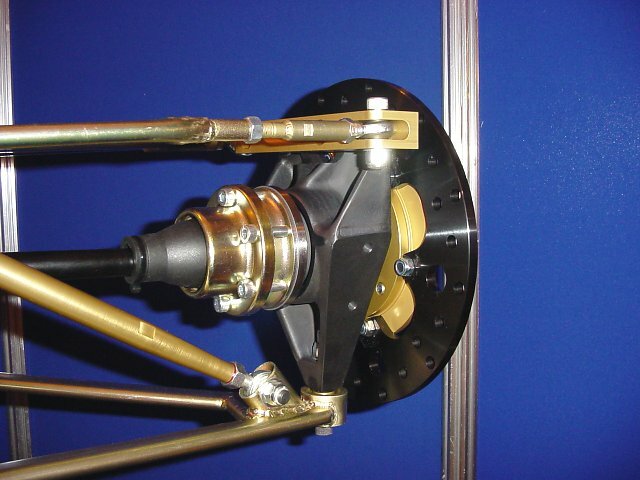 Front Suspension: double wishbone / pushrod. 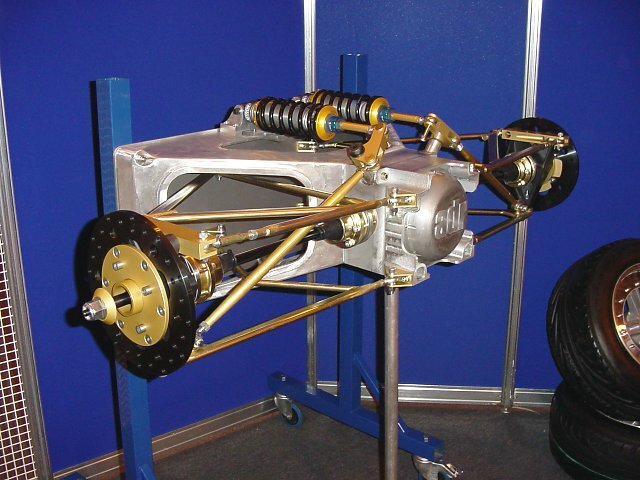 Rear Suspension: Solid axle or double wishbone / pushrod. Wheels: ADR 3 piece center lock. 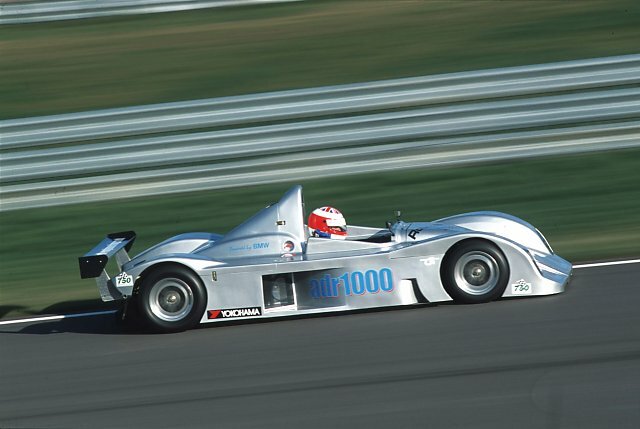 Gearbox: Coice / ADR / Hewland. 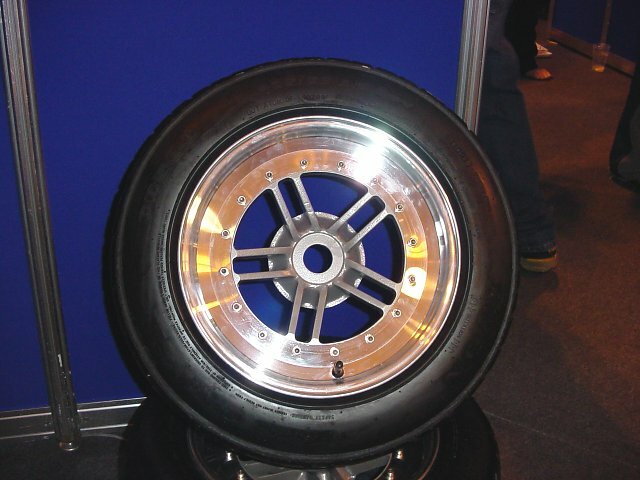 Anti-Roll Bars: Blade front, optional rear. Special Features: TIG welded chassis; Titan aluminum steering; 5 piece body; steering wheel digital display / logger option. Changes for 2004: New car.